There were less than 4000 electric cars in Ireland on the road at the start of 2018 . The government has a target that electric vehicles will make up 10% of all vehicles on the road by 2020 – that would mean about 230,000 electric vehicles on the road. Ireland has also set itself the target of ending the sale of cars powered just by fossil fuels by 2030. In 2017 just 623 new electric cars were registered in Ireland out of a total of 127,000 new cars. This was an increase from just 392 in 2016. The popularity of Electric cars in Ireland does not seem to be growing as much as the government hopes . This is probably because people are a bit concerned about limits on driving distances , the initial purchase cost and the regularity/inconvenience (and potential cost) of charging the battery. The availability of reliable , working charging stations for longer journeys is also an issue. Here are a few facts and figures that might help people make a decision about buying an electric car. 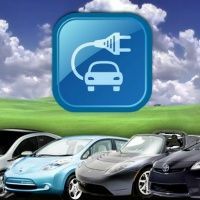 There is currently a grant available of up to €5000 towards the cost of buying an electric car . (For commercial vehicles the maximum grant is €3800.) The maximum grant of €5000 is payable on approved vehicles priced at €20,000 or more. Smaller grants are payable on lower value vehicles. Vehicles priced lower than €14000 do not qualify for a grant. Only new vehicles bought from an approved dealer can qualify for the grant. There are about 110 approved dealers and they handle the grant applications and deduct the grant from the price of the car. There is also a €600 grant available for electric car owners to help cover the purchase and installation of home charger systems . Travel Distances : Some models of electric cars can travel up to 370km on a full charge – but it would probably be wise not to plan to drive further than about 200km without access to a charging station. Nissan say that their Leaf , fully electric car , can travel 250km with a fully charged 30 kWh battery and 378km with the latest 40 kWh battery. An example of a round trip of just 140km would be to the ISFC in Dublin City Centre from places such as Kinnegad , Newbridge Drogheda or Arklow . Electric cars are often assumed to be more expensive to buy than “normal” cars . Compared to conventionally powered cars, the price of a new electric car can be anything from 15% to 50% higher. But with the government grant – the prices can compare quite well. Running Costs: Nissan Leaf dealers claim that driving 20,000 km in a Nissan Leaf fully electric car will only cost €200 in electricity. They base this on using night rate electricity. But swapping to a night rate tarrif means that you pay more for your daytime electricity usage and a bigger standing charge . So – if the only night time electricity you are using is the car charger – then you might end up paying a bit more for daytime household usage. A new Ford Focus petrol car driven 16000km – is estimated to cost €1580 over 12 months based on price of €1.369 per litre. So – compared to petrol costs – this is a saving of €1361 per year. You would get back the €4000 difference in purchase price within 3 years. People who drive more than 16,000 km a year will save even more on fuel. Motor Tax on electric cars is the lowest rate possible which is €120 a year. There is an exemption on benefit in kind (BIK) with company electric cars. (due to end December 2021.) A cap of €50,000 applies to the relief. Typically, if your employer offers you a non electric company car, you will be subject to BIK on it. This is based on taking 30% of the original market value of the car and then applying income tax to this. So, a car worth €30,000 will cost an employee €2,000 a year in income tax for lower-rate payers, and cost €5,200 for those on the higher rate. There will be no BIK tax on an electric vehicle with an original market value less than €50k . The BIK exemption on electric cars also means the employer won’t have to pay employer’s PRSI of 10.95 per cent on the vehicle. Charging stations : ESB has developed an island of Ireland-wide charging infrastructure of 1,200 public charge points. (about 900 of these are in the Republic). ESB state that fast charge points are located every 50km on all major inter-urban routes . But the problem can be that some of them are out of order .Charging is currently FREE – electric car owners have to register and get a card to use the chargers. (Here) . Update : October 2018 … ESB have confirmed that from the middle of 2019, charges will begin to apply on a phased basis, beginning with “fast charge” points and later spreading to all other outlets. The specific rates have yet to be finalised. You can find a map of all the charge points here. A big difference between traditional and electric cars is that electric cars don’t need nearly as much servicing as traditional cars. There are much less moving parts, no oil or filters, the brakes don’t get much use, there’s no clutch . A service for a Nissan Leaf should cost from about €120 – a petrol equivalent could cost from around €199 . Environment : Fully electric cars are classed as having zero carbon emissions – because there is no carbon from the exhaust. But obviously – the electricity they use will have been generated from burning gas or coal. A larger proportion of electricity in Ireland is now generated from renewable sources such as wind and solar . According to new analysis from EirGrid, 32pc of electricity demand in Ireland during 2018 was met by renewable electricity So – electric cars are not really “zero emission” – but they are more environmentally friendly than petrol or diesel cars and will become more so as the generation of electricity from renewable sources increases to the government target of 40%. Does the Irish Govt. give the same mileage expenses when claiming for electric cars as petrol and diesel cars enjoy….